Find the natural overlap between the work you already believe in and the digital tools that define today's learning. Each chapter introduces an enduring skill: information fluency, verbal persuasion, visual persuasion, collaborative dialogue, and problem solving. Then, the authors present a digital solution that can be used to enhance traditional skill-based instructional practices. A collection of handouts and supporting materials tailored to each skill and tool type ends each chapter. Find a wealth of handouts and activities focused on each skill and digital tool discussed. 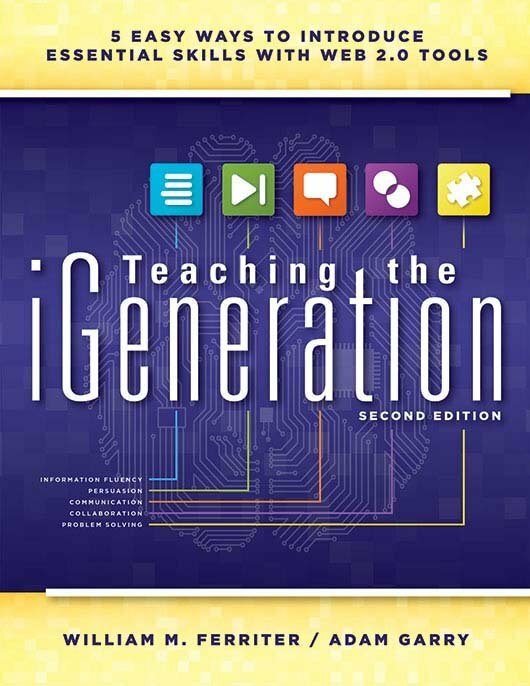 Explore practical methods to connect the enduring skills taught for generations with the technology that students are using every day. Understand concrete ways that students can make a difference around the world. Learn step-by-step directions for each digital tool. Investigate numerous online resources, and understand the pros and cons of each. What Will You Click on Next? What Can Digital Conversations Look Like?